Silent auction of artwork by Smith Teachers! Mark your calendars! 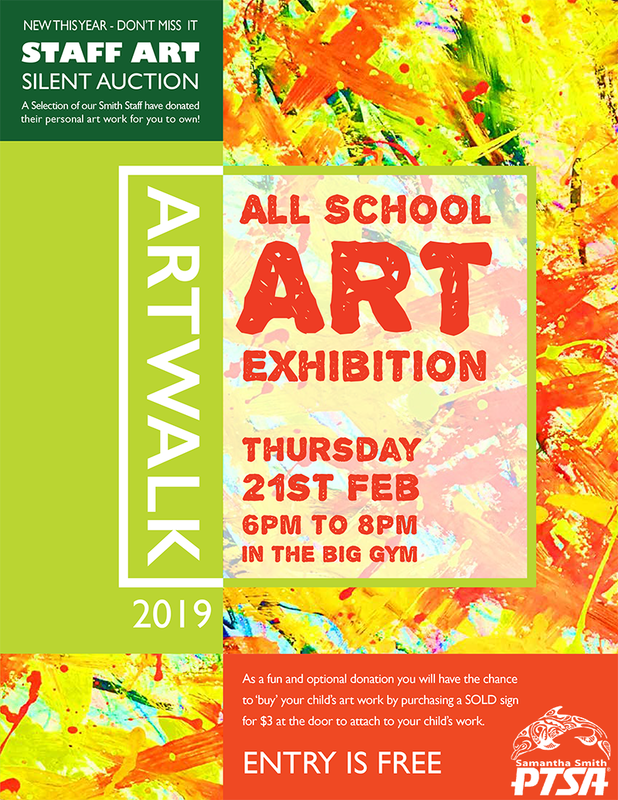 Please join us for our annual Art Walk on Thursday, February 21st from 6pm until 8pm. Come and see your student's artwork on display in the Smith gym. We'll be showing works of art from every Smith student. *For a $3 donation, you will be given a 'SOLD' sign to attach to your student's artwork. Donations will help pay for art supplies for our school. Event sponsored by the Smith PTSA Explore Art team.